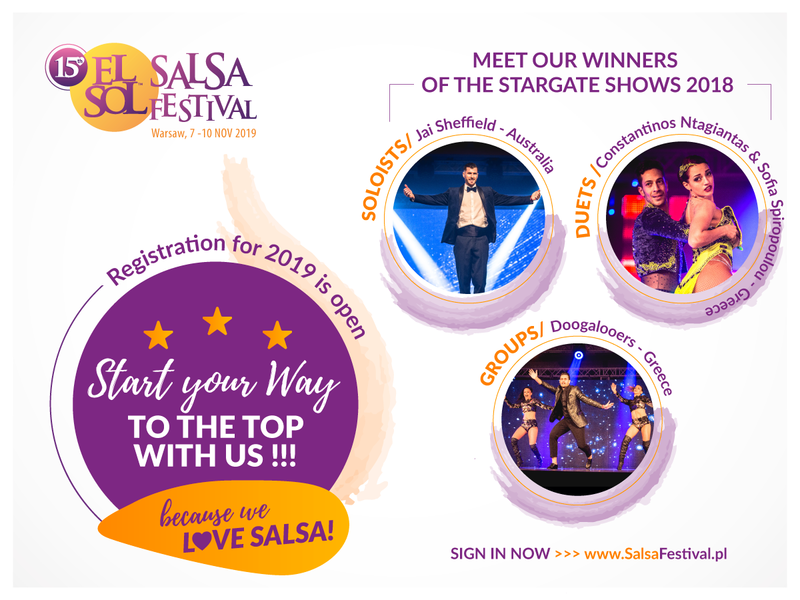 The long awaited moment has come – let’s start with registration for Stargate Shows during the EL SOL Salsa Festival 2019! We want to create a space where you can show the world your hard work and open for you the doors that lead to the big stage. This year we have something new for you – going against your expectations – on Thursday evening you will be able to compete in Stargate Shows for bachateros! As every year, salsa returns in three categories: groups on Friday, duets on Saturday and soloists on Sunday. More information, terms and conditions of participation in the competition and information about registration can be found HERE. Do not hesitate, only 12 places are waiting for you in each category!